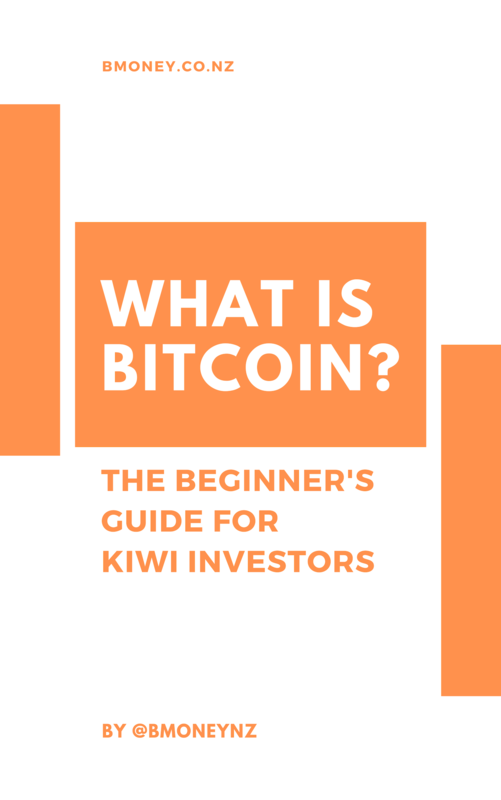 If you’ve been looking to get into Bitcoin, you’ve probably heard the term “wallet” being thrown around, along with “wallet address” and “wallet type” and so on. 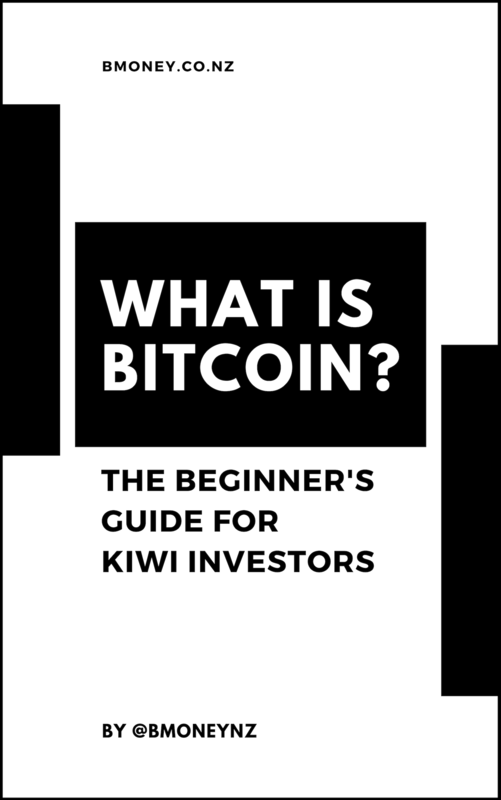 Understanding what a wallet is and why you need it is important if you want to be involved in the Bitcoin economy. One of the biggest issues in cryptocurrency right now is security of your assets. As the cryptocurrency world is still in its infancy, our methods of storing and securing our cryptocurrency are also in their infancy. The easiest analogy to make for this is: Consider how people used to store their gold before the banking system was invented. Usually they would bury it in the ground, lock it in a chest and/or pay somebody to stand over it with a gun. That is essentially what we are doing in cryptocurrency right now. There are no banks, no 0800 numbers to call when you Bitcoin gets stolen, no Mastercard helpline to help chargeback unauthorised transactions. If you leave your credit card on a McDonald’s table, someone might steal it but Visa can block it and simply send you a new one. If you do that with Bitcoin, your Bitcoin is gone forever. It’s important to understand you are responsible for protecting your own Bitcoin, whether you keep it in your own house in a vault, buried in the garden with a treasure map, or just in a filing cabinet beside your desk. You can do it however you want, but the main thing to remember is it’s completely your responsibility. However, it’s also important to remember that Bitcoin is digital, and exists only on the blockchain. It is not something we can store in our homes. Therefore, what we are protecting is technically not our Bitcoin, but our private keys. This is where Bitcoin wallets come in. When you own cryptocurrency, it is stored in a wallet. A wallet is a space on the blockchain that belongs to you. A wallet isn’t a physical thing, like the wallet in your pocket. It’s a digital wallet, nothing more than a collection of alphanumeric codes. These codes are known as keys. The first key in your wallet is a public key. Your public key is also known as your address. You can think of this as a bank account number. You can safely give this to anyone you want, and they will be able to send Bitcoin to you. However, that’s only the first side of the equation. To actually access and spend the Bitcoin in that address, you will need what is known as a private key. The other key in your wallet is your private key. A private key is also a set of numbers and letters, generated by an encrypted algorithm based on your public key. The private key can be thought of as your internet banking password. Anyone who has it can access and spend whatever is in your bank account. Obviously, that means it is essential to keep your private key private. Bitcoin security is essentially about private key security. Therefore, the best wallet is the one that stores and secures your private keys in the safest way. Software wallets are wallets that are generated on your computer, and include online wallets, mobile wallets and desktop wallets. These wallets are very convenient and operate similarly to online bank accounts: You can login on your phone or computer and access your cryptocurrency in a few seconds. The downside of a software wallet is security. Because your private keys are stored within the wallet itself, they are constantly connected to the internet and therefore susceptible to hacks and theft. Let’s say you have a mobile wallet installed on your phone. Because your private keys and public keys are stored together in one device, your cryptocurrency may be compromised if anyone manages to access that device. Some examples might be if you connect to a dodgy wifi network or website that exposes you to malware, or your phone is lost or stolen. Usually the risk is small enough that it is fine to keep small amounts of Bitcoin or cryptocurrency in a software wallet, especially if you plan on spending it occasionally. However, software wallets are generally not recommended for storing large amounts of Bitcoin. What is the best Bitcoin software wallet? I recommend using the mobile wallet from blockchain.com. It is probably the most popular soft wallet available today and very easy to use. It is available as a web wallet, and both on Android and iOS. You can generate a wallet in seconds on their website here. A hardware wallet is a physical device, similar to a USB thumb drive. With a hardware wallet, your private keys are encrypted and stored on the device itself, meaning they are never exposed to the internet (or even to you). This means cryptocurrency stored on a hardware wallet can only be accessed by the person who is physically in possession of the wallet and has the pin number. If your computer or phone is hacked or stolen, your cryptocurrency will still be safe, as without your hardware wallet none of your cryptocurrency can be accessed. Even if the hardware wallet itself is stolen, your cryptocurrency will be safe as long as the thief does not know your pin number or password. Hardware wallets are usually backed up with a “seed phrase”, which is a collection of unique words that you store on a piece of paper. If your hardware wallet is ever stolen, you can purchase a new device and then use your “seed” to restore your wallet. While hardware wallets are less convenient to use (as most people won’t want to carry their hardware wallets with them 24/7), they offer much better security of your private keys. I recommend using the Ledger Nano S.
Ledger is currently the leading hardware wallet manufacturer. 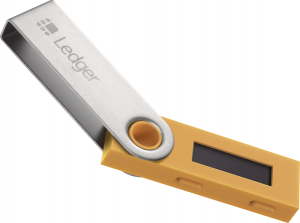 Their flagship Ledger Nano S is the most widely used hardware wallet in cryptocurrency, closely followed by the Trezor. You can order one directly from their website. A paper wallet is the old school method of storing cryptocurrency. The way a paper wallet works is you generate your wallet and then print it out on a sheet of paper. This piece of paper will display your public and private keys. You then store this paper in a secure place, such as a bank safety deposit box, a vault in the basement or anywhere else you believe will be safe. Some might argue that a paper wallet is the safest possible way to store Bitcoin, due to the fact that a paper wallet cannot malfunction and can be secured under lock and key in various ways. For example, you can cut it in half and store one half in a safe and the other half in a separate hiding place. While people still use paper wallets today, the inconvenience of using one means they are losing popularity fast and are largely being replaced by hardware wallets and web wallets. 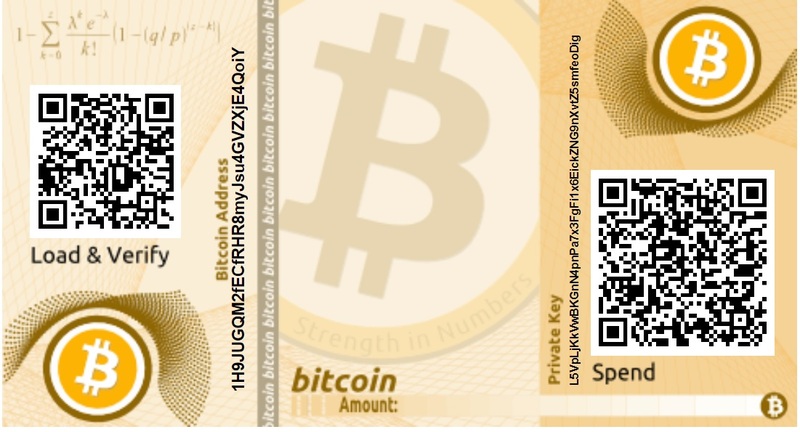 However for very large amounts of Bitcoins (in the millions), some people still opt for a paper wallet. With a web wallet you are reliant on the developer/website, and with a hardware wallet you are reliant on the hardware manufacturer. With a paper wallet, all third parties are removed from the equation – the only person who can compromise your Bitcoin is yourself. What is the best paper wallet? To generate a paper wallet, simply use a Bitcoin address generator such as Bitaddress or Bitcoinpaperwallet. As you can see, on the left you have your Bitcoin address, or public key, which you are able to share with anyone you want. On the right, you have your private key, which should be kept secret under all circumstances. Other websites have slightly sexier designs such as the one below, but they all serve the same purpose. The best way to store a paper wallet is to first laminate it to prevent it from moisture damage. Then store it in a safe or somewhere secure. Which wallet do I recommend? It’s a very easy recommendation for me and that is to use a hardware wallet. A hardware wallet offers all the same security as a paper wallet, because your “seed phrase” is stored on paper anyway, and essentially your seed phrase is what gives you access to your private keys. Most software wallets integrate with hardware wallets now anyway, so instead of entering a username and password to log in, you simply plug in your hardware wallet and log in that way. The big difference is, your hardware wallet takes care of keeping your private keys secure. They are never revealed to you or any software, they are stored securely on the device and only accessible via the pin number, which only you know. If you’re a crypto geek, you might want to try all the wallets anyway like I have, just to see how they work, but when it comes to practicality, security and ease of use, a hardware wallet is definitely the way to go. If you’re interested in getting a hardware wallet, I highly recommend the Ledger Nano S. It is able to store not only Bitcoin, but around fifty other cryptocurrencies, including all the major ones. This means it is the only wallet you should need for your entire portfolio. I also highly recommend only purchasing it directly from their website, rather than from a computer store or Amazon. Definitely do not get it from Trademe or buy one off another person. That is the only way you can be certain it has not been tampered with in any way. You can order directly from their website by clicking here.